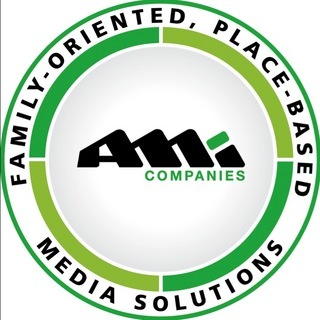 AMI is a fully integrated placed based, media provider that specializes in reaching active American families in an enjoyable, low stress, recreational environment. Our facilities are comprised of some of the largest and best run Amusement Parks, Water Parks and Zoos-nationwide. It is no coincidence that these environments are singularly the most popular recreational outlets for American families over the last 50 years, and have come to epitomize today’s classic American family Daycation. Advertisers have the benefit of capturing parents and kids together in this classic recreational setting, something that is next to impossible utilizing traditional media. The bulk of our exposure is also delivered in the summer months when traditional media is weak, and just as those critical back to school shopping decisions are being contemplated. Traffic patterns of our facilities are very well established, with typical patron visits last 5 to 7 hours daily, offering repeated exposure to your brand message. AMI’s proprietary media network is extensive, covering some 42 states and serving 90 of the top 100 DMA markets. The footprint of the AMI network is massive, with over 150 locations, making our annual traffic almost double that of industry titans Disney and Six Flags. Our unprecedented scale makes marketing campaigns with AMI not only more effective, but also a much better value for brands interested in reaching out to a larger, national audience. Integrated place-based amusement park signage: multiple oversized ads are placed above and below each park map installation-throughout each venue. On-site merchandising: previous campaigns have included branded paper towel dispensers, photo cut outs, ride height indicators, large format beach umbrellas and much more. Innovative brand activation techniques: including scavenger hunts, face painting stations, corporate mascots, branded tray liners and product demonstrations and giveaways. Traveling tours: with branded vehicles, tents, games and competitions with staff at each park. Hand to hand product sampling: where park staff distribute samples to patrons, either walking throughout the park or at a stationary areas with branded tents and other promotional items dispensed daily. On line, social & mobile extensions: are also growing common-place to further drive home your message to today’s active consumers. Not only will they see your brand message and or experience the product within our facilities, they will also be exposed to it long after they have departed. Internet tie-ins can include sweepstakes entries, text to win contests, QR codes, special offers and much, much more.